Do you not realize that you only have the option to “come together” because the “other team” doesn’t literally want you dead? There was a time when some Republicans weren’t so afraid of Big Gun’s rebranding of consumerism as patriotism. If Hillary Clinton and Donald Trump are the 2016 presidential candidates, gender will be part of the campaign in an unprecedented way. Decoder ring: “shrill“, “opportunistic“, and “because cankles” are also sexist. 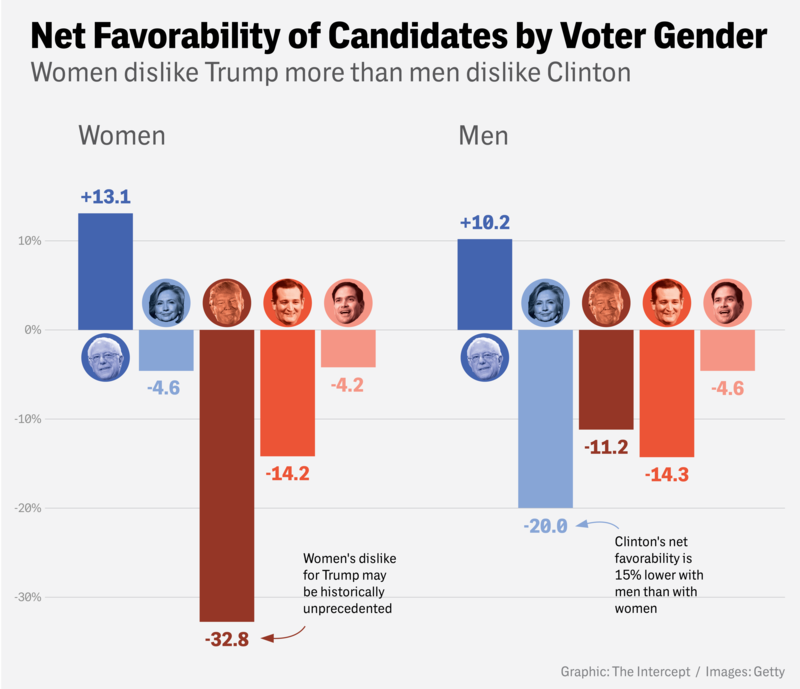 Women dislike Trump at what appears to be an unprecedented level for a national politician.